We moved in December last year from a very cold place (Saskatchewan) to a cold place with a ton of snow (Northern BC). We also moved from a home heated by a gas furnace to a home heated by electric baseboards and a wood fireplace. Not to mention our move was our choice and therefore not covered by my husband’s work, plus the lack of work for him once we got here made it financially harder then what we had planned. All of those things combined made for a long winter! We made it work, as we always do, got firewood in the deepest snow ever and had a lot of fun adventuring and exploring outside, but it definitely gave me some serious motivation to be much better prepared for our next winter. It’s now mid September and some parts around here have had their first snowfall (even though its only been days since the last wildfire evacuation order was lifted) and as I’m sitting here writing this I am so thankful that we completed most of our winter prep earlier this spring/summer before wildfire season took over our lives and before the temperatures dropped again! 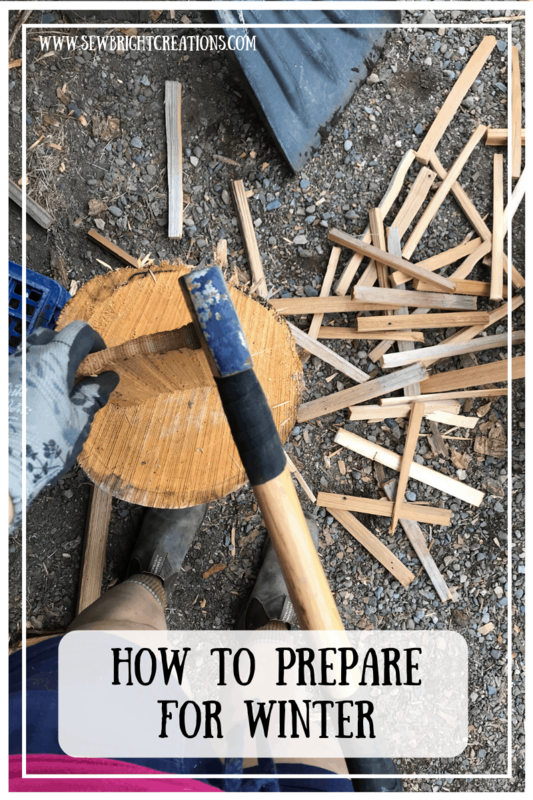 So incase you are in a similar situation or want to get your last minute hustle on before winter hits for good, I thought I’d share some of the things we have done to prepare for winter and hopefully make it just a little more enjoyable! Our home is two stories with a basement that we don’t use a lot, except for my sewing room. The house is heated by electric baseboards and a wood fireplace upstairs. We tried to use the wood as much as possible, but the wood that was left from the previous homeowners was minimal and wet. When we got our first hydro bill (2 months in) I almost crapped my pants (so expensive). No joke. It didnt take us long to braved all the snow and get firewood in the middle of winter. Not ideal, but the alternative (paying enormous bills) was not a better option. Even though our electricity bill was high, we still didn’t feel like the house was heated comfortably. The basement was still chilly and really didn’t have sufficient electric heat to really warm it up. We all know gas is a much more affordable option to heating then electricity and we already had gas to the house for our hot water heater, so after some serious thought, getting quotes and asking around we ended up buying a gas furnace and getting all the ducting installed. Luckily my husband was able to help out with a lot of the prep work to help offset the costs. This was our big spend this summer, but we are hoping it pays off one day! Eventually we plan to get the ceiling drywalled and have some more useable space downstairs, but one step at a time over here! We still enjoy wood heat and it’s even cheaper then gas, so we’re all for it! 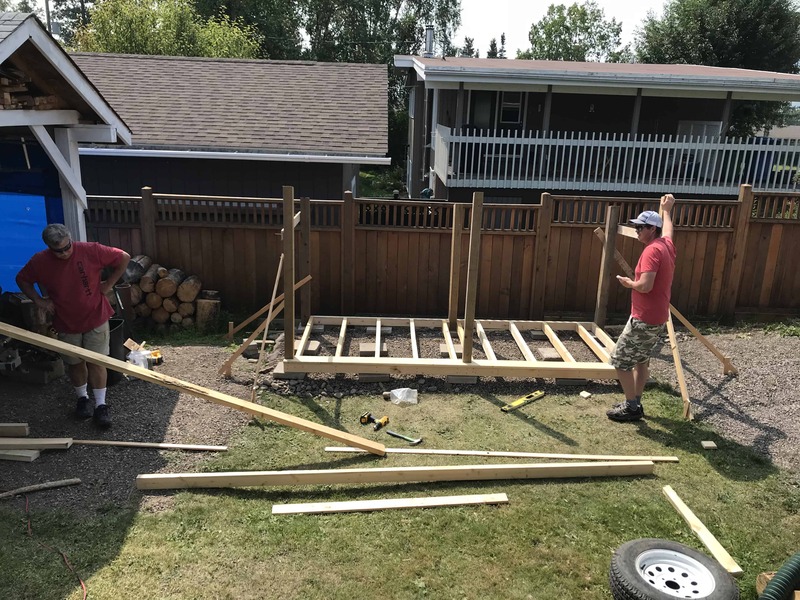 When we can, we still plan to burn wood, which is why we invested some time and money into building a wood shed (to keep our wood dry so it burns better). 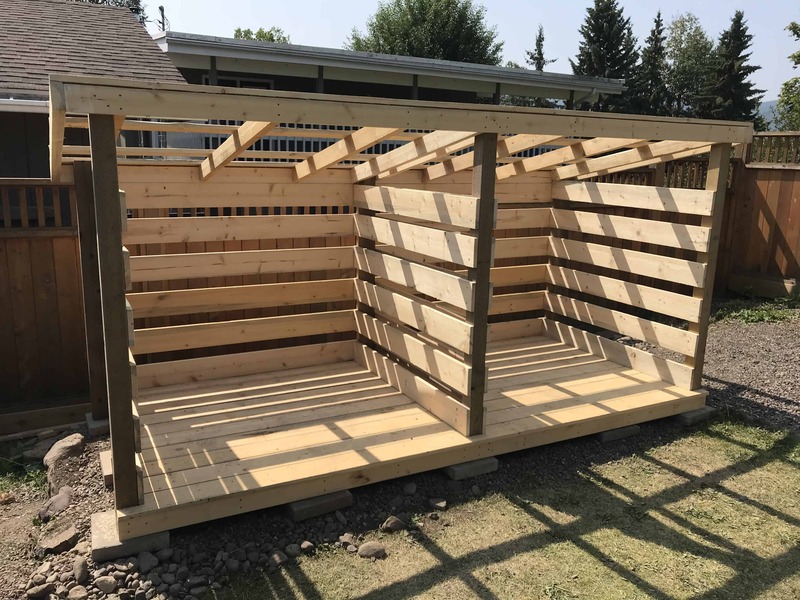 My husband did an amazing job building the woodshed! 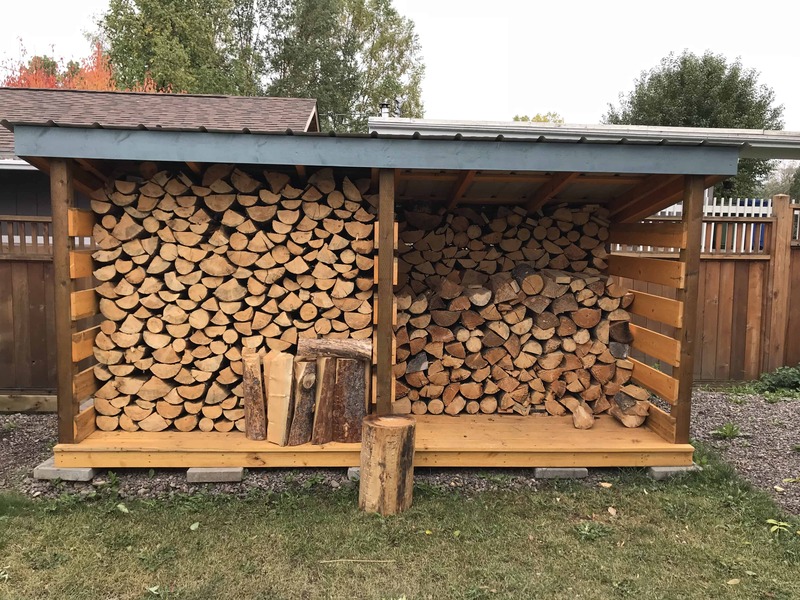 We cut down most of the fire wood in the spring (cleaning up deadfall out at the cabin), but we do have one more load to get to make the woodshed right full! Not only is the wood going to be all dry, but it’s even all chopped! YES! No more chopping wood in the freezing cold and snow. We have also been working away at chopping kindling. It is just so much easier and more enjoyable to do these things in summer. We now have several boxes stacked full and ready to go! I love having frozen berries in the freezer because they are one thing I know without a doubt will not make it to spring! 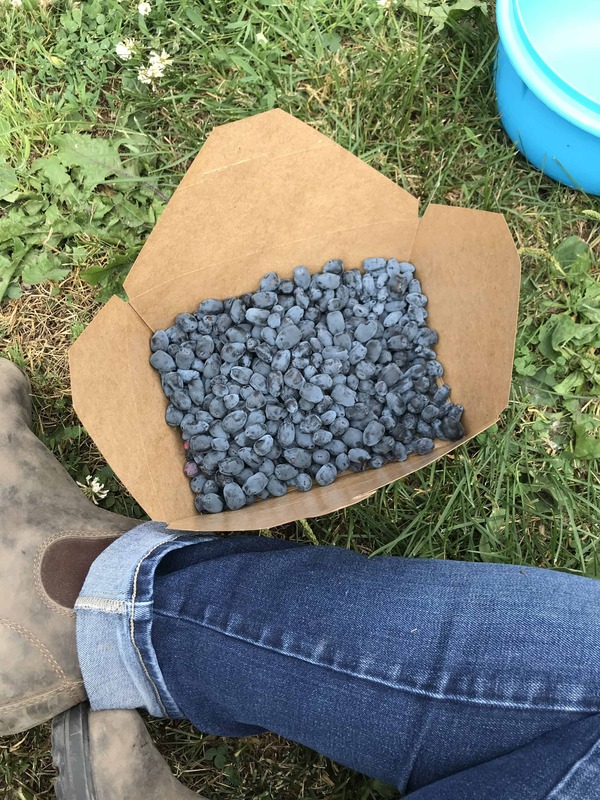 The last few years we’ve gone to a u-pick place for Saskatoon berries and they are so delicious. The only u-pick place I found around here was for Haskap berries. My daughter and I went one evening and picked a few pounds. They are great for kids to pick because the bushes are lower and all close together. The berries themselves apparently are very nutritious (I don’t know a lot about them other then they are a cross between a blue berry and Saskatoon berry). They taste good, but they are not my favourite. They were more expensive then the Saskatoon u-pick place too. 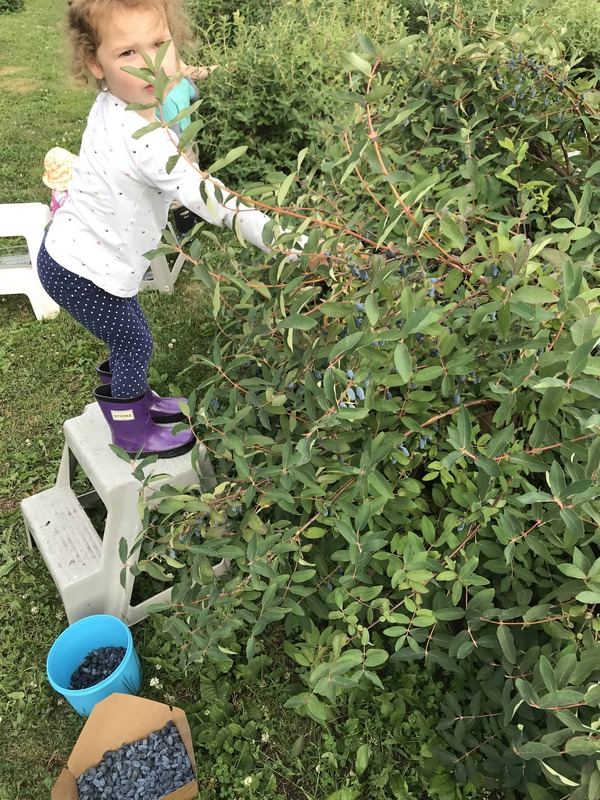 We did end up lucking out and finding a good patch of wild Saskatoon berries to pick this summer too and I am really hoping for raspberries next summer because those are my favourite. This year I froze all the berries on cookie sheets so they don’t all clump together in the freezer and it makes it so much easier just to take out a few at a time. We love frozen berries in oatmeal, cereal, muffins, smoothies and crisp. 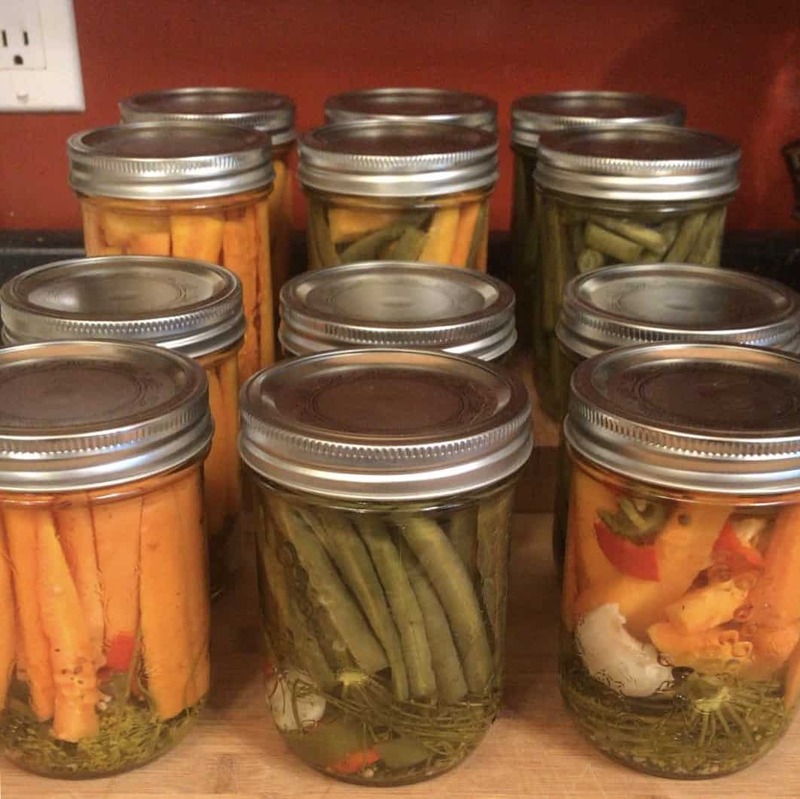 I prefer canning over freezing, but freezing is so much easier! Some things just work a little better frozen too. 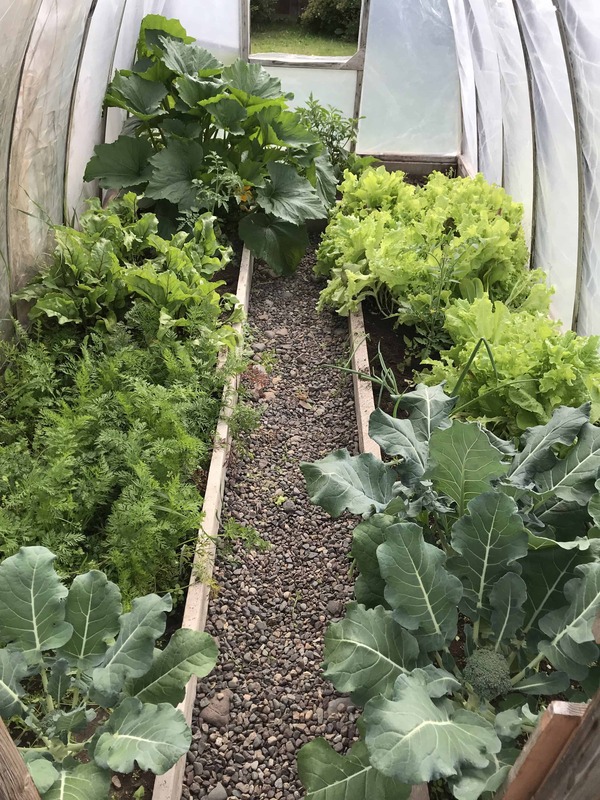 This was my first year having a greenhouse and it was a learning experience! There were some things that I just couldn’t eat all of, like spinach. I had so much lettuce and spinach ready at the same time, I chose to freeze most of the spinach and eat the lettuce fresh. 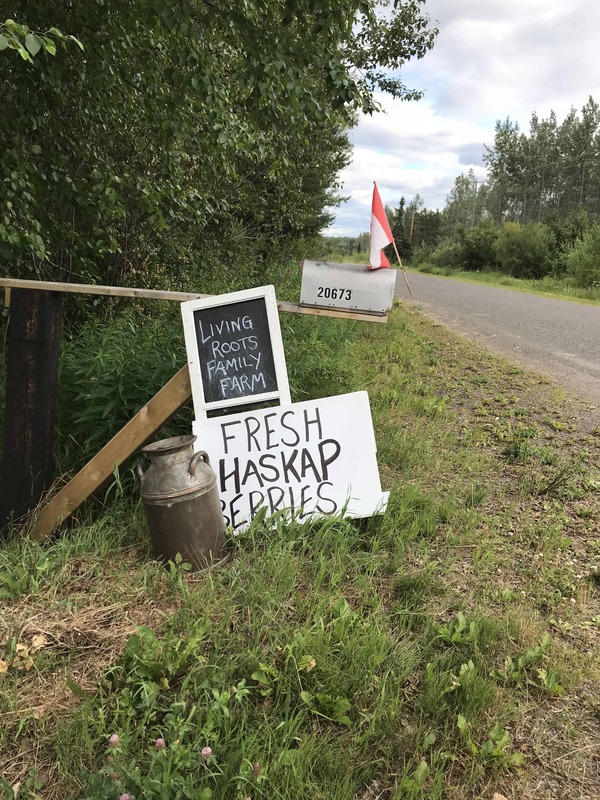 A few other things I froze were chopped rhubarb, beet tops, BC peaches and tomatoes, fresh picked Haskap and Saskatoon berries, sour cherries and often when they had a 2 for deal on berries at the grocery store I would buy 2, 1 to eat fresh and 1 to freeze. When corn on the cob was in its prime I also cooked and froze some corn. I don’t have a lot of it, but it was better then wasting what we had and could not eat at the time! It’s been a few years since I’ve done much canning, but with our greenhouse and BC local fruit truck, I couldn’t pass up the opportunity. 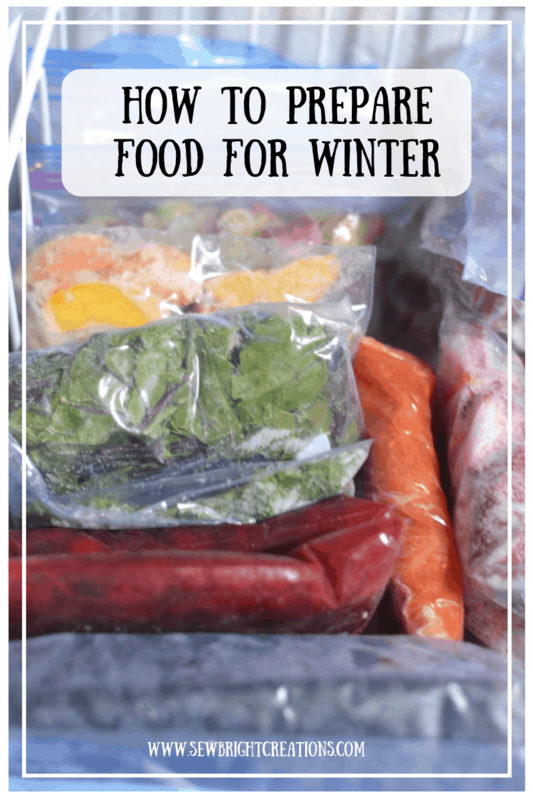 Plus, I would much rather eat preserved (canned or frozen) local and home grown foods over “fresh” grocery store foods from who knows where in the middle of winter. Not to mention, winter time is also financially harder for us, so the more preparing we can do the rest of the year, the more enjoyable our winter is! 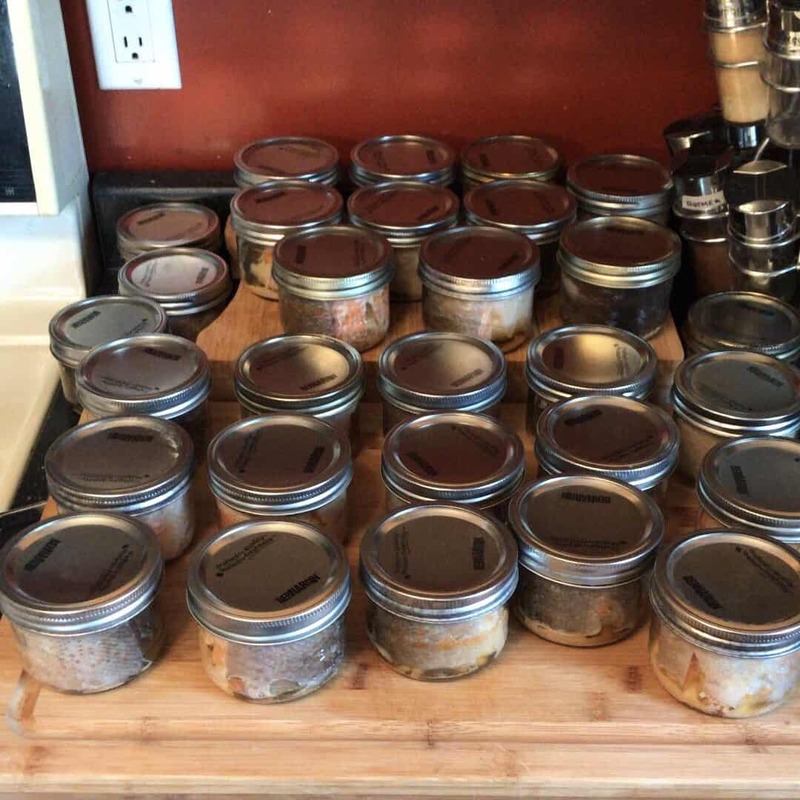 Back to canning, this year I made small batches because it was more manageable and sometimes we don’t eat it all (small family here) and I don’t want to waste it. Some of our favourites are zucchini relish, salsa, baked beans and canned salmon. 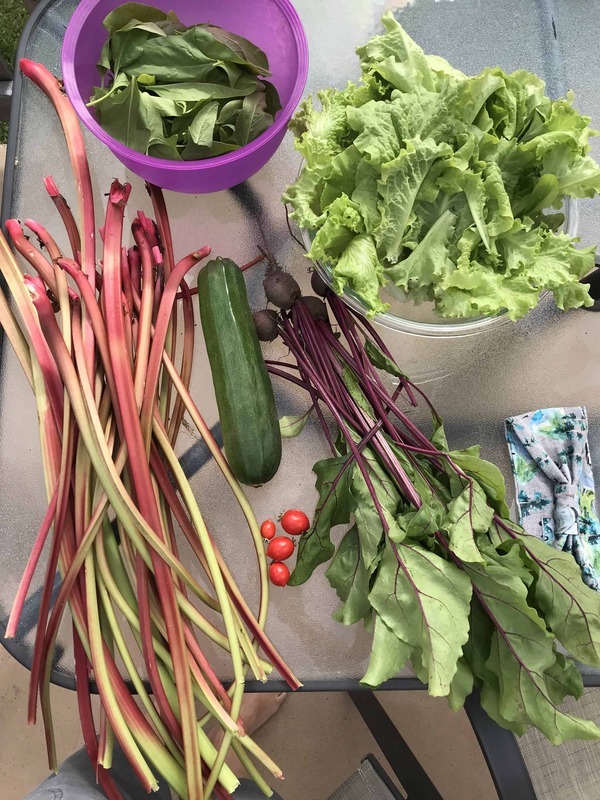 I also canned picked beans and carrots, cherry jam, stewed rhubarb, apple sauce (thanks mom for that one), picked garden beets and canned peaches. 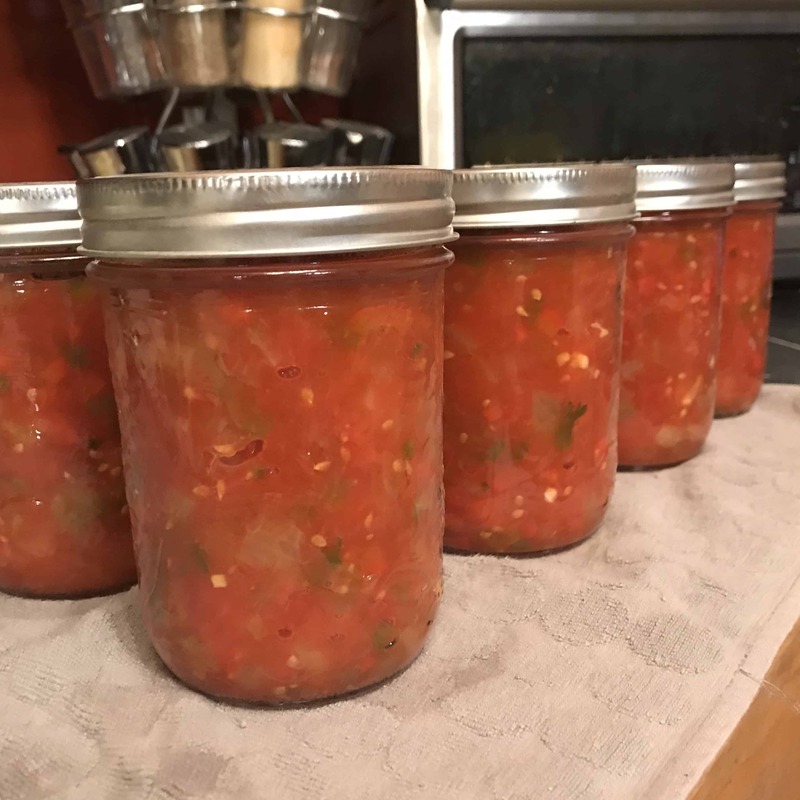 The beans and fish were both done in the pressure canner, make sure to select the right canning method for what you are doing (check out my book recommendation below!). 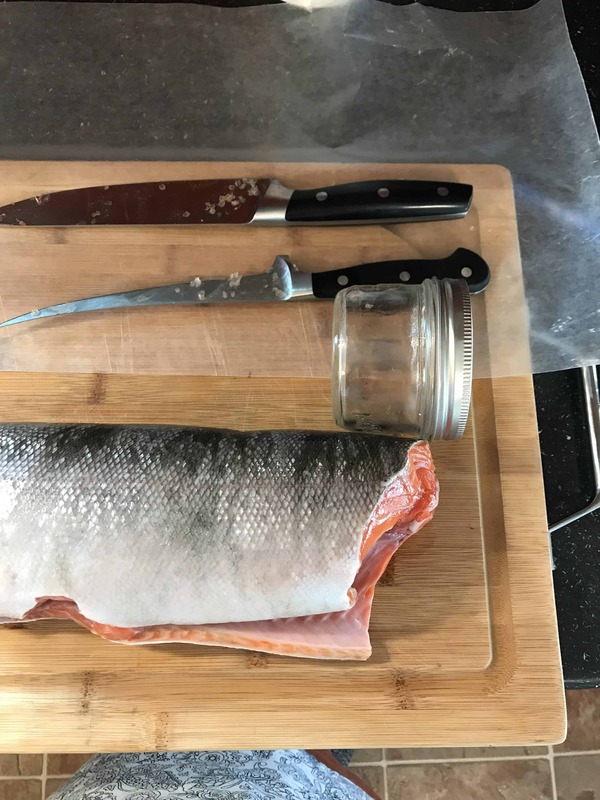 TIP: When cutting the salmon I used the jar to measure, but don’t forget that the bottom of the jar goes in, so you’ll want to make the chunks a little bit narrower to fit all the way in. 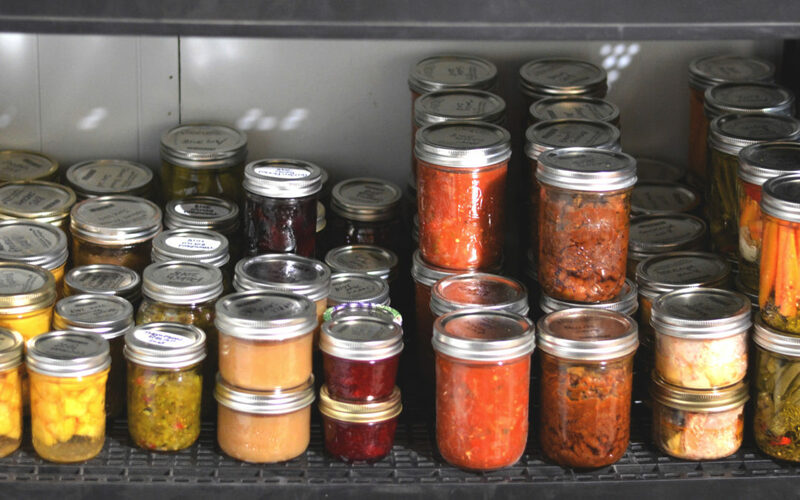 Want to try, but not sure about canning? I have this book that I use for water bath and pressure canning that has been super helpful. It is basic and easy follow and I definitely recommend it! I have had mine for quite a few years now and refer back to it every year. I’ve also included a link to the basic water bath canning supplies incase you want to give it a try for the first time! 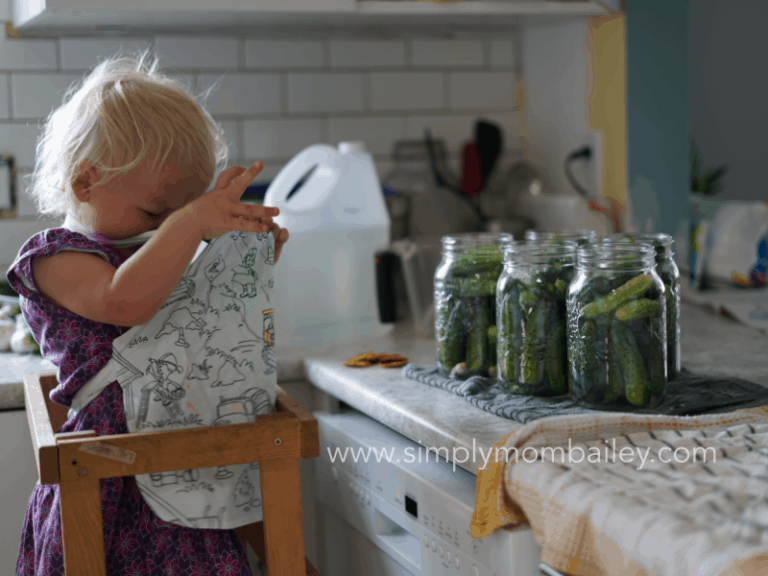 Read about Simply Mom Bailey’s canning experience on her blog! 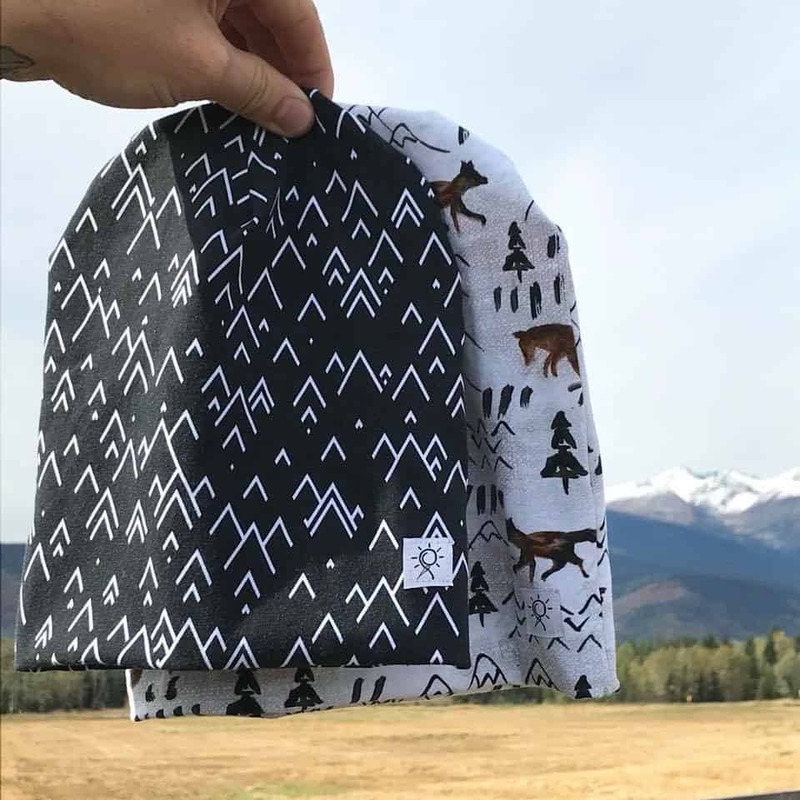 She featured our Sew Bright Colouring Aprons which were awesome in keeping her kiddos busy while she could get her canning done.Although I don’t have any photos (blogger fail) I wore my adult colouring apron for all of my canning! 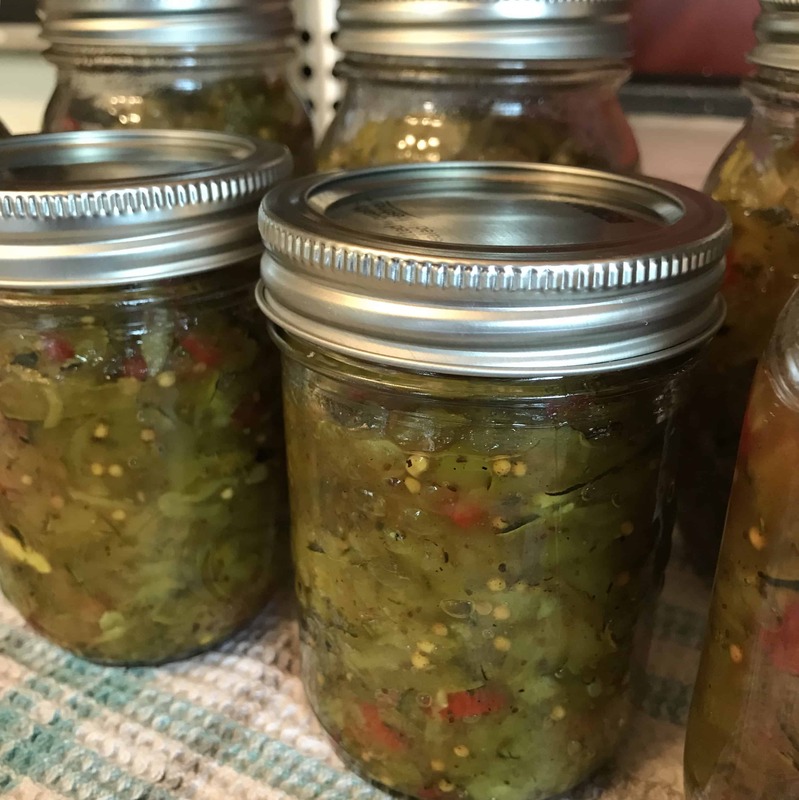 Aprons while canning are a must! One thing I haven’t done that I would still like to is fill the freezer with local pork, beef and chicken and any wild game if my husband lucks out this year hunting. 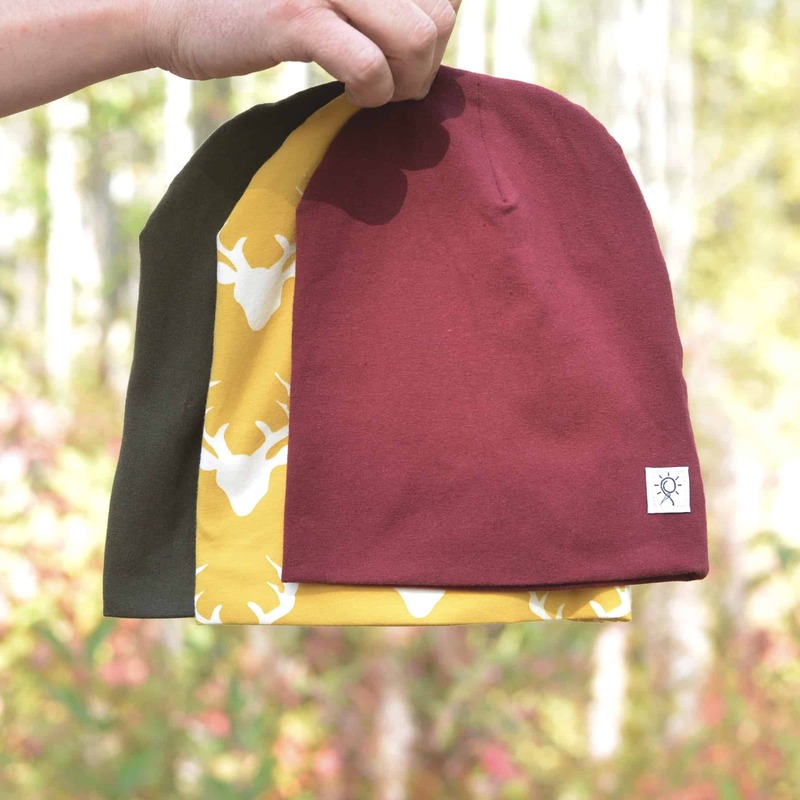 If you’re local to the Bulkley Valley and can recommend any great farms, please let us know! My husband did manage to go Halibut fishing in Prince Rupert this summer, so we are lucky to be stocked up on fish and some other local seafood. Wondering how tree trimming is really preparing us for winter? Well, when you get as much snow as we did this year you need a place to pile it! We decided to take out a tree in the front of our house and trim back the side hedge to allow more room in the driveway for snow removal. We also removed two more in the back, partly due to snow and partly because we plan to build a new deck next spring and they’ll need to go anyways. What have you done to prepare for winter? This post is NOT sponsored, but does contain affiliate links. 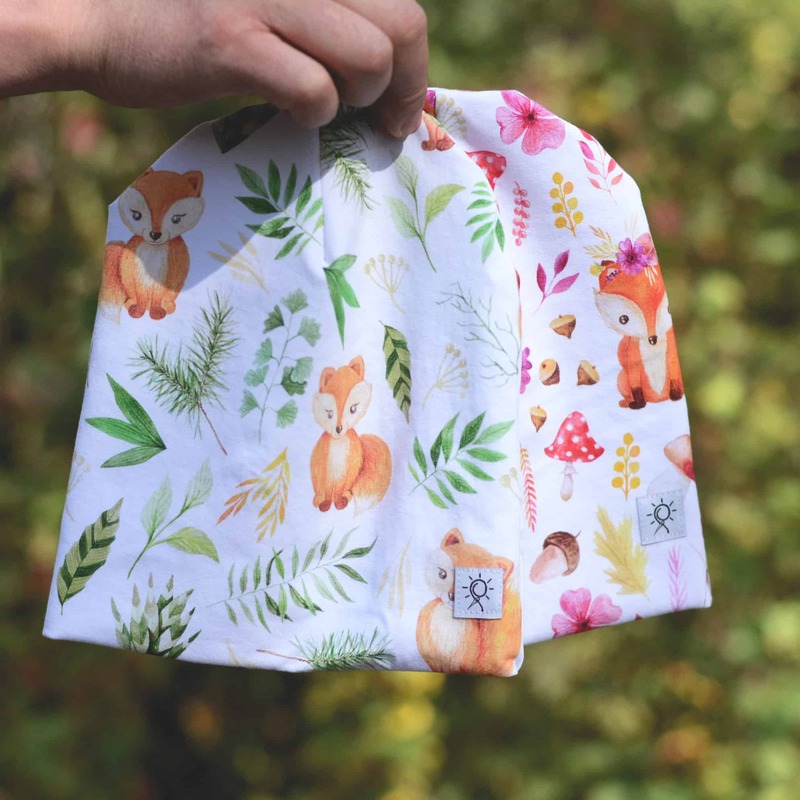 The opinions and photos are of Sew Bright Creations’.